Congress Vice President Rahul Gandhi on Thursday returned home from his 56-day unexplained sabbatical which had raised questions over his leadership of the party. Congress Vice President Rahul Gandhi on Thursday returned home from his 56-day unexplained sabbatical which had raised questions over his leadership of the party that is struggling to find its feet after a string of electoral defeats. The 44-year-old leader arrived here at 11.15 am on a Thai Airways plane from Bangkok, ending days of intense speculation over his return and amidst celebrations by party workers who burst crackers outside his residence. Wearing a dark shirt and seated in the back seat of his vehicle, he arrived escorted by his security personnel and drove straight into the house without interacting with the waiting mediapersons. The return of Rahul comes ahead of the party's planned farmers' rally in the national capital on the contentious Land Bill issue which he is likely to address. The plane, which was scheduled to land at 10.35 am, was delayed by 40 minutes, sources said. Shortly later, Rahul drove to his 12, Tughlaq Lane residence where his mother and Congress President Sonia Gandhi and sister Priyanka were waiting. Rahul had left quietly before the Budget session began on February 23 but it is still not known where he had spent the days. The party had then said that he "requested Congress President Sonia Gandhi for some time to reflect on recent events and future course of the party". Ever since the announcement of his temporary break from political life, there has been speculation that he was unhappy with not getting a free hand to run the party, a contention which the party has officially denied. Rahul's leave had come amid talk of an All India Congress Committee (AICC) session, where he was expected to be elevated as Congress President. During his absence, several party leaders including former chief ministers Amarinder Singh and Sheila Dikshit came out in the open pitching for Sonia Gandhi to continue as president and raised questions over his leadership. Congress leaders had announced that Rahul would be back by April 19 as he would be addressing a farmers' rally on land bill issue at the Ramlila maidan here on that day. The rally is being held on the eve of the second phase of the Budget session of Parliament. Rahul had skipped the first phase which saw the Congress taking on the government over the land bill issue. Congress has been performing badly at the hustings, starting with the Lok Sabha elections last year. It was followed by a string of defeats in Assembly elections including in Delhi recently. Sources also said that plans are underway to organise an interaction of Rahul Gandhi with a delegation of farmers on April 17, two days before he will address the Kisan-Khet Mazdoor rally of the party. Party leaders on Thursday voiced confidence that Rahul will provide leadership with dynamism and commitment and take pro-active measures. "He is back and I have no doubt that he will be not only taking proactive measures but also with dynamism, with commitment provide leadership," Congress leader Anand Sharma said, adding that farmers' issue has been close to Rahul's heart. The BJP, meanwhile, took potshots at the Congress Vice President, saying he "ran away" as he had lost all confidence. "From Nehru to Rahul, it is the withering away of the dynasty," BJP spokesperson Sambit Patra said. After spending two hours at his residence, the Congress Vice President came to 10 Janpath, the official residence of Sonia Gandhi. Sources said that Rahul will get back to business as usual soon. 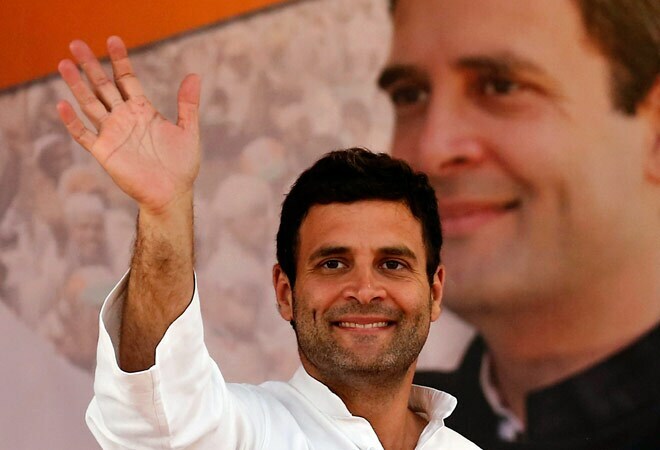 He is likely to meet office bearers of All India Congress Committee (AICC) and a delegation of farmers on Friday. The Congress Vice President will also be visiting his Parliamentary constituency Amethi in a day or two. "When Rahul comes back, he will come back soon, then he will also come (here)," Sonia Gandhi had said on March 28 as she toured Amethi, the Lok Sabha constituency of her son. Her remarks had come days after posters had emerged in Amethi stating that the local MP was "missing".